Few people have been as important to our understanding of life on earth as Charles Darwin. 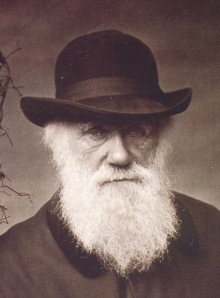 With his book On the Origin of Species, published in 1859, he introduced the concept of evolution through natural selection to a greater audience. Behind the theory was decades of careful work collecting material, studying, and a very exhaustive correspondence with the leading natural scientists at the time. Here you can read more about Darwin and the background to his work.